1. Go to LinkedIn and make sure you're logged out entirely. 2. On the Accounts page, click the LinkedIn button to add your personal profile. 3. When LinkedIn prompts you, enter the login information for the account you'd like to add to Edgar. 4. 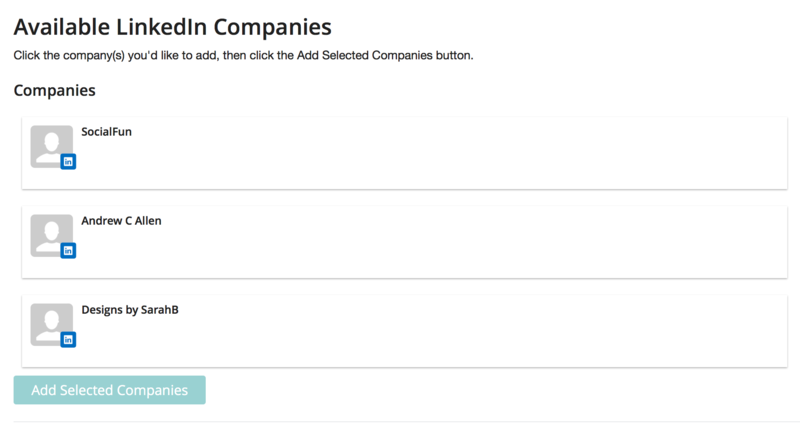 Now, click the LinkedIn Company button on the Accounts page to see a list of your company pages. Select the pages you'd like to add and click Add Selected at the bottom. 5. If you'd like to add additional LinkedIn profiles, head over to LinkedIn and log out. Then repeat the steps above!